Posted on Thursday, March 17th, 2011 at 4:39pm. According to the Canadian Real Estate Association’s (CREA) news release yesterday, the national average price for homes sold in February 2011, increased by 8.8% compared to the previous month. However, if you take Vancouver out of the mix, it drops to 3.4%. In addition to a strong pre-spring market, there have been a record number of multi-million dollar sales in Vancouver resulting in bidding wars. In Vancouver, looking at detached properties over the 3 million dollar mark, the community with the highest level of activity is Shaughnessy. In February there were 18 homes sold between $3,045,000 and $7,850,000. The total amount of real estate sold was just under 77 million; the average price being $4,277,000. Three of these homes sold in multiple offer situations resulting in an average increase of $248,000 over the asking price. Comparatively, there were fewer sales but 10 multiple offer situations in the communities of South Granville (8 total sales) 4 multiple offers, Southlands (1) multiple offer, Quilchena (3) multiple offers and Mackenzie Heights (2) multiple offers. This trend is a direct result of an increased pre-spring housing demand. View homes for sale in Vancouver. 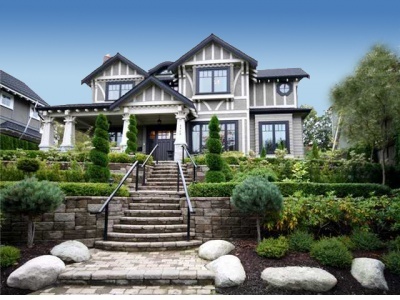 In West Vancouver, keeping over the 3 million dollar mark there were a total of 22 detached homes sold in the communities of Chartwell (2), Westmount (1), Whitby Estates (1), Canterbury (2), Arbutus (2), British Properties (3), Sentinel Hill (1), Chelsea Park (1), Rockridge (1), Glen Eagles (1), Caulfield (2) and Panorama Village (1). The subdivision of Dunbar is the exception with 4 sales over 3 million dollars, 2 of which resulted in multiple offers at an average increase of $96,000 over the asking price. View homes for sale in West Vancouver. 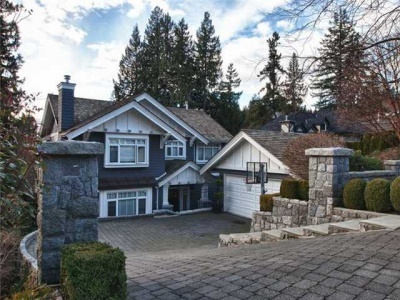 In North Vancouver there were a total of 39 detached homes sold in February over the 1 million dollar mark, ranging from $1,015,000 up to $2,168,000. These properties were sold in Seymour (1), Canyon Heights (4), Dollarton (1), Central Lonsdale (2), Lynn Valley (3), Forest Hills (1), Pemberton Heights (1), Princess Park (1), Roche Point (1), Grouse Woods (2), Lower Lonsdale (1), Tempe (1), Deep Cove (1), and Delbrook (1). While it’s true that homes in North Vancouver are typically less expensive than Vancouver and West Vancouver, the market is still flourishing with activity. Communities with property sales inclusive of multiple offer situations were Upper Lonsdale (4) 1 multiple offer, Capilano Highlands (4) 1 multiple offer, Grand Boulevard (1) multiple offer, Upper Lonsdale (5) 2 multiple offers, Breamar (1) multiple offer, and Blueridge (2) 1 multiple offer. View homes for sale in North Vancouver. (X) is the number of total sales in February for each community in the referenced price range.